Located in the center of Cyclades, the most popular island group of the Aegean Sea in Greece, Paros is an island with distinctive style, relaxing atmosphere and amazing Paros hotels. Visited by millions of tourists every summer, Paros is the ideal destination for both young crowds and families. 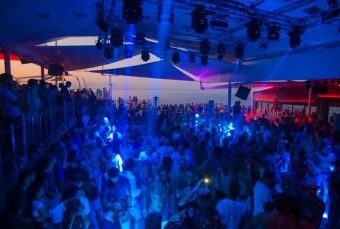 Young crowds find in Paros island a great place for beach parties and vivid nightlife, while families find a relaxing place for evening strolls and long days on the beach. The ferry to Paros takes about 5 hours, which makes it a nice short trip from Athens. A journey to Paros can be easily combined by ferry with other Cycladic destinations. The busiest village in Paros is Parikia, which is also the capital and the main port of the island. 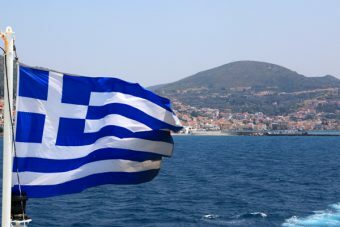 This is where the ferries from Athens and other Greek islands arrive and the first place to see once you disembark the boat. This is also where buses to various places around the island depart from, therefore this little town gets very busy in summer season. Due to these close facilities and services, it is frequently chosen as a base to stay during holidays in Paros. The second most popular village of Paros island is Naoussa, a lovely Medieval settlement famous for the old port, the lounge nightlife and the charming architecture. Naoussa is also a convenient base. However, it would be a shame to visit Paros and miss the small villages in the center of the island, including Lefkes, Marpissa and Prodromos. These villages stand out for their white cubic houses, the narrow paved paths and the blue-domed churches. Of course, there can be no Greek island without gorgeous beaches! 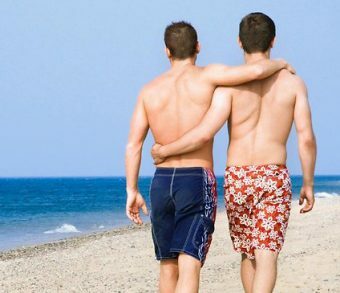 Paros beaches is not an exception to this rule. Although this is a small Greek island, it has many gorgeous beaches for every preference: small or large, organized or not, sandy or pebbled, easy to get or totally secluded. There are beaches everywhere in Paros island and many of them get very popular in high season. Kolymbithres and Santa Maria beaches are the closest beaches to Naoussa. Pounta beach is very popular among young crowds, while beaches on the south eastern side of Paros island, like Golden Beach and New Golden Beach, are very popular for windsurfing and kite surfing. In fact, this Greek island is a great destination for windsurfing, and surfing cups are frequently organized there. However, swimming, surfing and partying are not the only things to do in Paros island. With a long history and rich local culture, this place has interesting sightseeing to visit. Very interesting is the Byzantine church of Panagia Ekatontapyliani, meaning Virgin Mary with One Hundred Doors, dating from the 4th century and located very close to the port of Parikia. Something not to miss in Parikia is also the Venetian Kastro, the oldest quarter of the town, which keeps its original architecture and style. A short hike from Parikia, on the top of a hill with view to the Aegean Sea, and you see the Ancient Sanctuary of Asklepios, the healing god of the ancient Greeks. Findings from this spot and other excavations are found at the Archaeological Museum in Parikia. Visitors can try many fun activities in Paros island. Apart from windsurfing, diving is also a popular sports due to the seabed of the Cyclades which is rich in reefs and old shipwrecks. As Paros is found in the center of Cyclades, visitors might also like day boat trips to close Greek islands, like Antiparos, Naxos and Mykonos. 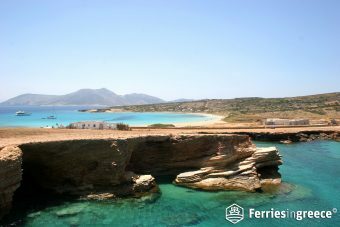 Although there are daily flights from Athens, there are also frequent ferries to Paros from Athens. 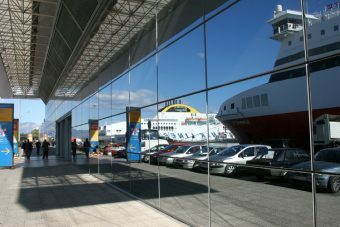 Ferries to Paros depart daily from the main port of Athens, Piraeus. 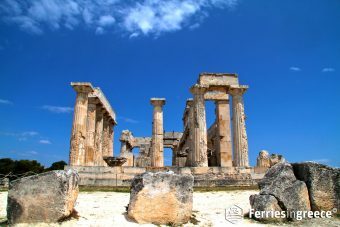 In summer, there are also daily ferries from Rafina, the closest port to Athens airport. 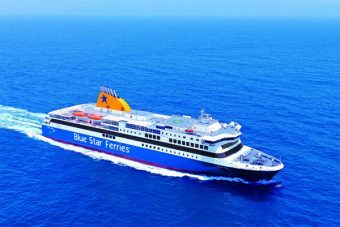 Blue Star Ferries and Sea Jets are the two main ferry companies that run schedules from Athens to Paros. 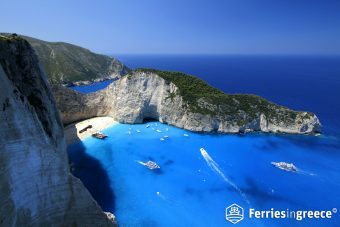 In summer, there is good ferry connection between Paros and many other Greek islands, like Santorini, Mykonos, Naxos and Crete. 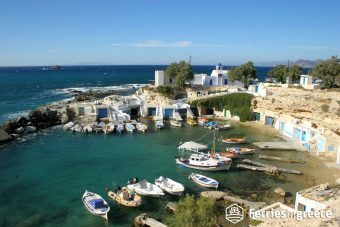 Are you looking for ferry tickets to Paros? 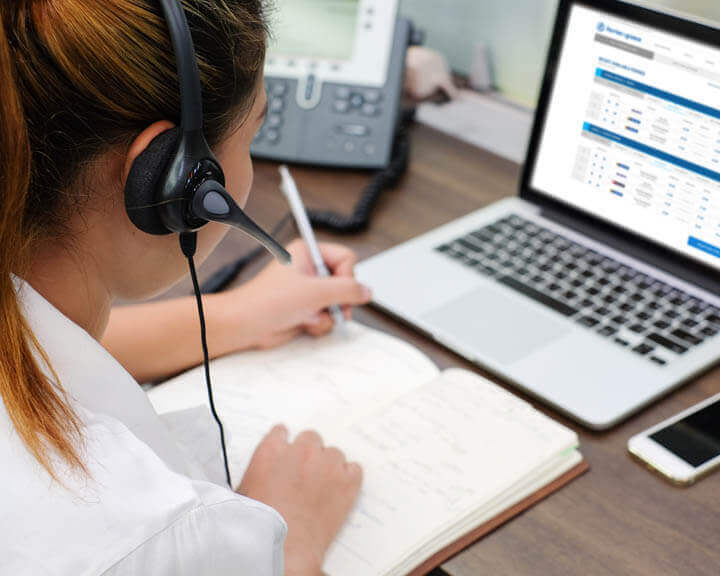 Make your reservation through our engine!